C.C.N.Y. (Oct. term 1862) ¤ Fed.Cas.No.1,691. C.C.,N.D.Ill. (12-31-1869) ¤ 6 F.Cas.904, Fed.Cas.No.3,441. Jerome H. Remick & Co. vs American Automobile Accessories Co.
C.C.A. Conn. (3-11-1929) ¤ 31 F.2d 236. Lectures were given to a paying audience, then copyright was obtained. The presentations from the lecterns did not void the copyright. Three lectures which made up a series called “How to Improve Memory” were protected by copyright held by National Institute, and were infringed by lectures on the same subject. The author of the lectures had copyrighted them November 23, 1925, after the lectures had developed through gradual growth over three years, and assigned his copyright on December 6, 1927, to National Institute. Robert Nutt was employed by them until October 1922, and had no training in the subject other than with them. He delivered the infringing lectures December 14 and 15, 1927. The amount of his copying was substantial, enough to constitute infringement. Roy Export Company Establishment of Vaduz, Liechtenstein, Black, Inc., A.G., Filmverhuurkantoor De Dam B.V., and rbc Films vs Columbia Broadcasting System, Inc. This summary addresses facts also given under fair use. “In 1973, CBS began work on a retrospective of Chaplin’s life, intended for use as a film obituary when Chaplin died. CBS soon learned, however, that the plaintiff held all rights in the films involved here and that, despite repeated requests, plaintiffs would not grant CBS permission to use the films. 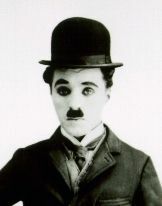 The plaintiffs explained their refusal by informing CBS that they had begun production on their own ‘definitive’ Chaplin biography, The Gentleman Tramp, and therefore would not relinquish their copyright advantage.” Rather than use public domain films, CBS sought the “gems” of the comedian’s films. A lengthy compilation of such scenes had been prepared with skill under authorization of the copyright owners and had been broadcast in 1972 in connection with Chaplin’s appearance at the Academy Awards. CBS challenged whether the Compilation could enjoy copyright protection in that no statutory copyright had been taken out on it by the plaintiffs, and in that (as part of the Academy Awards broadcast on which the Academy of Motion Pictures Arts & Sciences [AMPAS] held statutory copyright) the statutory copyright associated with it was not in the plaintiffs’ name. The Court held that the AMPAS broadcast was “divestive” rather than “investive” insofar as it controlled copyright on the components of the broadcast, which was a compilation in itself which in turn incorporated the Compilation of Chaplin scenes. Because AMPAS had obtained only a one-use license for the Compilation, AMPAS never had ownership interest and thus never had “investive” interest subsequent to the broadcast. Further, AMPAS argued that the broadcast was a performance rather than a publication. “The possibility that AMPAS acquired a statutory copyright in the Compilation may be readily rejected. It is axiomatic that copyright is a protection for an original work. Without an assignment from the proprietor of a component, the compiler of a collective work cannot secure copyright protection for preexisting components that he did not create; protection is available only for that part of his product that is original with him—for what he has added to the component works, or for his skill and creativity in selecting and assembling an original arrangement of those works, even if no new material is added. For example, when the plaintiffs created the Compilation, they became eligible for copyright protection (common-law or statutory) because the Compilation is an original creative work, distinct from the films on which it draws. But AMPAS made no creative contribution to the Compilation. Without any assignment from the plaintiffs of proprietary rights in the Compilation, the statutory rights AMPAS may have acquired in the telecast can extend only to its original contribution to that collective work, not to the pre-existing Compilation. McCarthy & Fischer, Inc. vs White et al. (launch this) had to do with the distribution of sheet music to be publicly sung but not sold. The cases in the page for copyright abandonment should be read by those wanting more examples of performance not being publication.